Artist Laurel Burch strove to create images that would remind people of the ongoing world of the spirit. Magical, beautiful images that will give you the freedom of expression to color and enjoy. For coloring suggestions, download Laurel’s preferred color palette under Tips and Techniques. This original design is copyright Laurel Burch. This Large 4" X 6" set of Perfectly Clear Stamps features premium photopolymer images from exclusive artwork copyright Laurel Burch. Interactive images work together for dozens of fun looks. Use with acrylic handle sold separately. Made in the USA. 13 pieces. 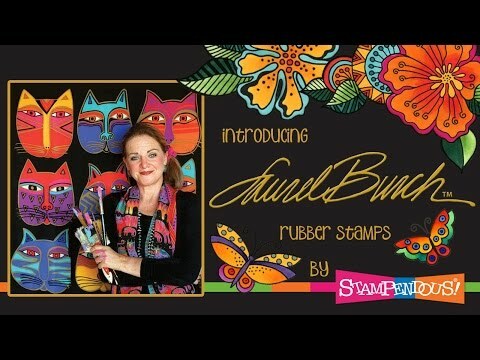 Laurel Burch Icons Perfectly Clear Stamps was added to your cart.